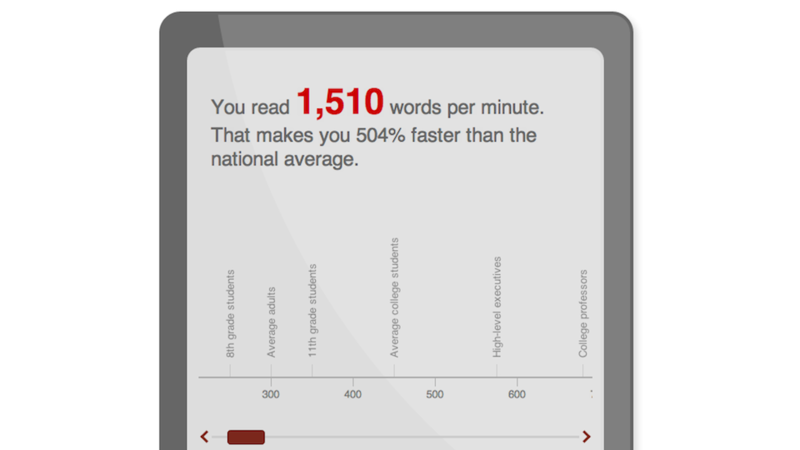 Reading quickly is a skill to be proud of! It's useful, you save time, and you can brag to your friends how fast you finished the Game of Thrones books while those nincompoops impatiently wait every Sunday for it to air. But don't you want to know how fast you can read? Take this reading test to see.